Medical Council of India has appoved 150 seats of MBBS vide letter No: MCI - 34(14) (E - 63) / 2013 - Med / 20917 / 13 / 7 / 13 Consent of Affiliation to Rajiv Gandhi University of Health Sciences availed. 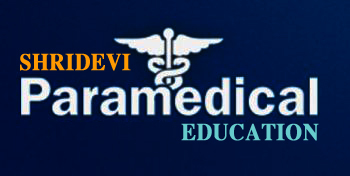 Every student shall undergo a period of certified study extending to Medical course, a candidate, must have over 4.5 academic years from the date of commencement of his study for the subject comprising the medical curriculum to the date of completion of the examination followed by one year compulsory rotating Internship. The 4.5 years course has been divided into three Phases. Phase - I : 1 year, consisting of two terms of 6 months each. Phase - II : 1.5 years, consisting of three terms of 6 months each. Phase – III : 3.5 years, after Phase - 1, consisting of 7 terms. The first year shall be occupied in the study, of the phase - 1 (pre-Clinical) subjects of Human Anatomy (650 hours), Physiology including Biophysics (480 hours), Biochemistry (240 hours) and Introduction to Community Medicine (60 hours). Clinical subjects will be introduced in phase - 2 onwards which includes General Medicine, General Surgery, Obstetrics & Gynecology, Orthopedics Pediatrics Ophthalmology, ear, nose & throat, Dermatology, chest & TB, Psychiatry. After passing pre clinical subjects in Phase-I, the Phase -II, Shall be 3 terms(1.5 years) devoted to Para Clinical and Clinical subjects. Para Clinical Subjects, shall consist of Pathology, Pharmacology, Microbiology, Forensic Medicine including Toxicology and part of Community Medicine. Seats are allotted by merit selection which is based on Common Entrance Test conducted by Karnataka Examination Authority and Comed-K, followed by Centralized Counseling. 15% of total intake allotted under NRI / Foreigner category on Merit selection.